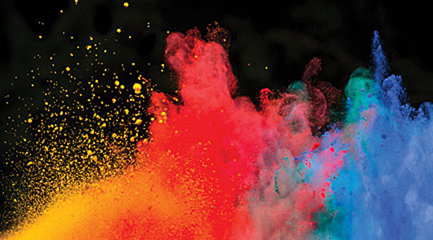 Innovative, reliable and high-performance extrusion and cooling systems for powder paint production based on market-leading technologies and focused on flexibility and low energy consumption. As one of the world’s leading suppliers of steel-belt based cooling and solidification systems used in powder coating production for many years, we have extended our capabilities by signing an exclusive agreement with Italian firm EXTRUWORK SRL, a major manufacturer of twin screw extrusion machinery. We can now supply integrated powder paint production lines, encompassing a one-stop solution from feeding and extrusion to cooling and downstream handling. With an increasing global demand for driving a reduction of volatile organic compounds (VOCs) commonly used in liquid paints, the market for powder coatings is rapidly expanding. Powder paints provide a clean and attractive alternative to VOCs with virtually no atmospheric pollution, safe storage and handling and low fire hazard. Our integrated powder paint systems ensure an efficient, low-energy consuming and environmentally friendly operation. With operations in more than 130 countries worldwide we can provide a genuinely global service covering everything from installation and commissioning to in-house training, repairs and spare parts. Our services include “best practice” maintenance training for in-house teams, tailored support packages designed to resolve potential issues before they impact on production, scheduled maintenance visits, spare parts held on site and a global network of trained and qualified engineers who can respond to requirements anywhere in the world. This versatile unit can be adjusted to meet precise production needs. It can be set to a fixed position or attached to a sliding guide fixed to the extruder’s frame, allow it to be moved for easy cleaning. The screw profile will be defined according to humidity and bulk density of powder. The extruder is key to the quality of end product and our units offer a number of major advantages, the most important of which being its split design, allowing fast and easy access for colour changes and cleaning operations.